I am very happy to announce our new AWS whitepaper "Architecting for the Cloud: Best Practices." For several years, software architects have discovered and implemented several concepts and best practices to build highly scalable applications. Today, these concepts are even more applicable because of ever-growing datasets, unpredictable traffic patterns, and the demand for faster response times. This paper reinforces and reiterates some of traditional service-oriented architectural concepts and discusses how they may evolve in the context of cloud computing. It will also discuss some unprecedented concepts such as elasticity that have emerged due to the dynamic nature of the cloud. This paper is targeted towards cloud architects who are gearing up to move an enterprise-class application from a fixed physical environment to a virtualized cloud environment. The focus of this paper is to highlight concepts, principles and best practices in creating new cloud applications or migrating existing applications to the cloud. 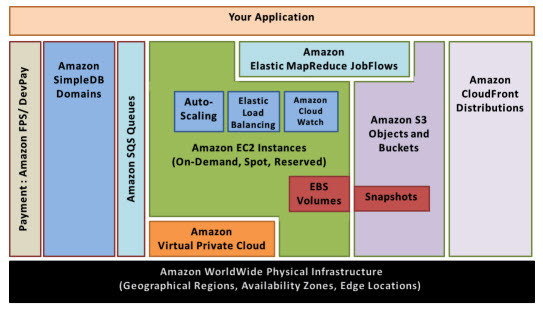 Most importantly, the paper discusses some specific strategies on how to architect your application to leverage the benefits of the cloud benefits and some specific tactics on how to use different AWS features and services. As always, your feedback is extremely important to us. Let us know whether the paper is helpful and whether it answers few of your cloud architecture questions. Please use the comments section and/or send feedback directly to evangelists at amazon dot com.